According to the Crunchbase Women in Venture report 2017, the percentage of women partners in the top hundred VC firms in the world is 8%. The numbers would look pretty similar in MENA but things have been changing lately with more women getting into venture capital. Some of them are investing in their individual capacities, some have launched their own funds and some are trying to empower individual female investors by building an ecosystem around them. In this list, we are looking at those who are either Managing Partners at their firms or in some sort of decision-making roles. To put it simple words, these are the women who can write you checks. We scanned through websites, LinkedIn pages and other relevant resources of all the leading VCs in the region be able to to create the list. Even though we have tried our best but it’s very likely that we (still) may have missed some of the names. It is not an exhaustive list and we might even do a part two. It is also worth mentioning that even though many big VC firms of the region like MEVP, Wamda, DASH, Propeller & Algebra don’t have women in their leadership but they have some female representation in their investment teams. The firms that don’t have any female representation are mostly CVCs. Ambar Amleh is the co-founder and Chief Operating Officer of Ibtikar Fund, a Palestinian VC that invests in early-stage Palestinian technology startups. Since launching in 2015, the fund has invested in different Palestinian startups (based in Palestine or founded by Palestinian founders and based in MENA) including SocialDice, Bambinotes, and RedCrow. International Finance Corporation is among the backers of the fund. Prior to launching Ibtikar, Ambar was the Programs Manager at Palestine for a New Beginning, a non-profit. She launched different programs and events to support entrepreneurship in the country while she was there, bringing the Global Entrepreneurship Week (GEW) to Palestine being one of them. She also managed the digital entrepreneurship programs at Leaders Organizations, including FastForward, Palestine’s first accelerator, and eZone, a co-working space for entrepreneurs. She has an MBA from the Thunderbird School of Global Management and a Marketing degree from Arizona State University. Dina El-Shenoufy is the Chief Investment Officer at Flat6Labs, one of the first accelerator in the region. Started in 2011 from Cairo, Flat6Labs has expanded to six locations now, Bahrain being the most recent. Some of the companies in their portfolio include Instabug, Collectionair, and Nafham. Dina has been with the accelerator since 2015. She was previously Investment Manager at Sawari Ventures, the VC firm that founded Flat6Labs. Prior to joining Sawari, she worked with Al-Ahly Capital Holding and Beltone Asset Management. She is a Chartered Financial Analyst and has her bachelor degree in Business Administration from The American University in Cairo. Dounia Boumehdi is the General Manager for MITC Capital (Maroc Numeric Fund), a Casablanca-based VC firm that invests in Moroccan tech startups. Founded in 2009, the fund has invested in 17 startups according to the portfolio on their website. Dounia had joined MITC Capital as an Investment Manager in 2011 and became General Manager of the firm in 2013. Previously, she worked with CDG Capital for more than seven years. She holds an Executive Master in Project Management from École des Mines Paris and Master in Finance and Capital Markets from ISG Paris. Elissa Freiha is the founder of WOMENA, a Dubai-based women-only angel group that educates women to invest in MENA-based startups. They have invested ~$700,000 in ten startups of the region with companies like Bayzat, Melltoo, and OfficeRock in their portfolio. 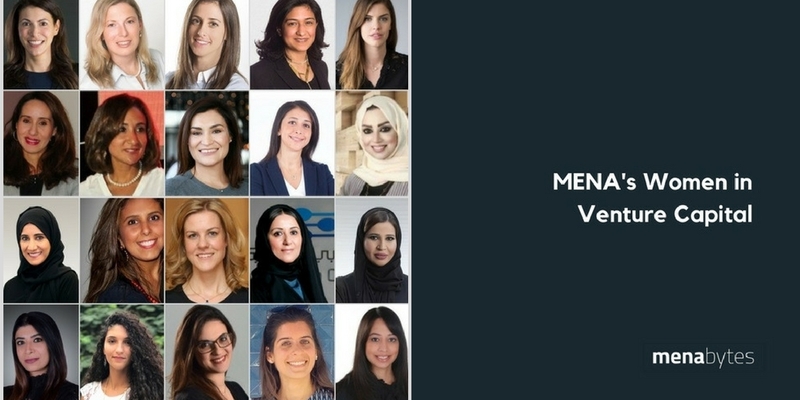 WOMENA has recently also announced a launch of WOMEDIA, a media platform to share success stories of female entrepreneurs from MENA, and WOMENTUM, an accelerator for female-founded startups. Elissa is known as one of the most vocal advocates of equal rights in entrepreneurial circles of the region. The 27-year-old has been listed by different media outlets including BBC and Forbes Middle East in their 30 under 30 lists. She holds a Bachelor of Arts in Global Communications from the American University of Paris. Hadya Fathalla is the Executive Director at C5 Accelerate, a (London, Washington D.C. and) Bahrain-based VC firm that invests in technology startups. C5 Accelerate currently runs an eight-week acceleration program in Bahrain to help startups scale, with a focus on scaling using the could. The fund has last year invested $2.5 million in OneGCC, a recruitment platform exclusive to the GCC nationals. Hadya is responsible for the public and private sector businesses of C5 in the Middle East and Africa. She previously served as a security expert in Bahrain, advising different government agencies on security policy, strategy, cybersecurity, and other national security threats and challenges. She holds an MPA from the Harvard Kennedy School, and an MA in war studies from King’s College in London. Hala Fadel is one of the first women VCs in the region. She co-founded Leap Ventures, a Lebanese VC firm that invests in tech startups in MENA and Europe, in 2014. Hala is one of the three Managing Partners of the firm. Leap Ventures has fourteen companies in their portfolio including Jeddah-based UTURN Entertainment, one of the leading Arabic content producer in the region. One of their recent investments in the region has been in Myki, the Beirut-based cybersecurity startup. But it’s not Leap Ventures that brought her to the world of venture capital and entrepreneurship. She has been an advocate of entrepreneurship since 2005 when she founded MIT Enterprise Forum of the pan-Arab region, an MIT-affiliated non-profit that promotes entrepreneurship across the Arab countries. She still chairs the organization. Hala holds a Masters in Financial Economics from HEC Paris and an MBA from MIT’s Solan School of Management. Hayfa Ahmed is Innovation Director at Qatar Science & Technology Park, a government-run technology hub that supports startups in the country through different incubation and acceleration programs. Hayfa is the in-charge for some of these programs. She had joined QSTP in 2012 as Research Manager (ICT) and has been serving the organization since then in different roles. Hayfa previously worked as an Information Analyst with Qatar Petroleum. She holds an MBA and Bachelor of Computer Science degree from Qatar University. Heather Henyon is the founder and director of Dubai-based Women’s Angel Investor Network normally known as WAIN. She founded the network in 2014 to support women entrepreneurs in the Arab world by building an ecosystem of women investors. WAIN invests in female-founded startups only. Since founding, according to the information on Heather’s Linkedin profile, the network has invested $500,000 in six women-led startups. Heather has very recently also launched Mindshift Capital by partnering up with Marcia Dawood, a US-based Venture Capitalist. Mindshift will invest in female-founded post-seed early-stage startups. At this point, there is no information about the size of the fund or its backers. She is also the founding member of Dubai Angel Angel Investors. Heather holds an MBA from Cornell University and a bachelors degree in Economics and Political Science from Oberlin College in the United States. Jenny is the Investment Principal at Silicon Badia, Amman-based VC firm that invests in both regional and global startups and has regional companies like Arabia Weather, Bayzat, Liwwa, HyperPay and Vezeeta in their portfolio. She had joined Accelerator Tech (Silicon Badia’s parent) as Investment Director in 2014 and moved to Silicon Badia in 2016. Prior to that, Jenny was Head of Asset Management at Awraq Investments, the investment arm of Cairo Amman Bank. She is a Chartered Financial Analyst, CFA Charter-holder, and has a Master of Science degree in International Securities and Investment Banking. Kenza Lahlou is the founder and Managing Partner of Outlierz Ventures, a Casablanca-based VC firm that invests in seed-stage startups from Africa. Kenza has previously founded StartupYourLife, a non-profit organization that empowers entrepreneurs in Morocco. The organization connects entrepreneurs with the right resources and provides them access to mentorship, training, networking opportunities and exposure, to help them grow their startups. Founded in 2017, Outlierz Ventures is fairly a new VC firm and has not announced any investment yet. Kenza has previously also worked in consultancy and marketing roles for companies in Morocco, San Francisco, Singapore, and France. She holds Masters in Computer Science from Institut national des Sciences appliquées de Rouen in France and another Masters in Strategy and Management from ESSEC Business School Singapore. Lana is the Managing Director of Hikma Ventures, venture capital arm of Hikma Pharmaceuticals that invests in healthtech startups. The $30 million fund has invested in six international startups until now. Lana previously worked Corporate Strategy & Development Director at Hikma Pharmaceuticals in Jordan and as a Financial Analyst at Dresdner Kleinwort Investment Bank in London. She holds an MBA from the Harvard Business School a Bachelor of Commerce degree from McGill University in Canada. Menna Abdel-Rahman is the General Manager of Cairo Angels, Egypt’s first formal network business angels. Founded in 2012, the network has invested $2.2 million (collectively) in 21 startups until now with companies like Instabug, Elves, Eventtus and Zoomaal in its portfolio. Cairo Angels have also launched an incubator very recently with EGBANK to support early-stage startups. Menna is a regular at entrepreneurial events in Egypt and has been a part of the jury at different startup competitions in the past. She holds an Economics degree from The American University in Cairo. The 25-year-old Menna is the youngest in this list. Mona Al-Mukhaizeem is the Managing Partner of Savour Ventures, a Kuwait-based food vertical accelerator, first of its kind in the Middle East. Savour invests $50,000 in selected startups and offers them an acceleration program powered by US-based Creative Startups. The accelerator has invested is four startups until now who were part of its first cohort and will be starting the next one very soon. Mona is also the co-founder and Managing Partner of Sidrab Lab, a co-working space in Kuwait that also serves as a platform for entrepreneurs to launch and grow their startups. She previously worked in different roles at Ernst & Young, Global Investment House and Naxuri Capital, an American seed-stage VC. Mona holds a BSc in Industrial Engineering from Kuwait University and an MBA from Hult International Business School in San Francisco. Najla Al-Mifda is the General Manager of Sharjah Entrepreneurship Center, a government entity that was launched in 2016 to support and promote entrepreneurship in Sharjah. Normally known as Sheraa, the center has helped more than fifteen startups through its acceleration program until now. Sheraa offers equity-free investments to all its startups. Prior to joining Sheraa, Najla has previously worked with Khalifa Fund for Enterprise Development in Abu Dhabi and McKinsey in New York. She also sits on the board of United Arab Bank. Najla makes regular appearances at regional events to speak about entrepreneurship. She holds a bachelors degree in Computer Science from the University of Bath and an MBA from Stanford. Noor is the Chief Investment Office of Dubai Future Foundation, a government organization that has started and leads different initiatives to shape future of Dubai. She also sits at the board of MIT Sloan School of Management and MIT Enterprise Forum Pan Arab and chairs the recently formed MENA Venture Capital Association. Prior to joining Dubai Future Foundation, Noor served as Director of Endeavor UAE and General Partner at Leap Ventures. She has also worked for Dubai International Financial Center and Accenture. She holds an MBA from MIT and Bachelor of Science degree in Finance and Economics from Boston College. Raja Al Mazrouei is the Executive Vice President of FinTech Hive, a FinTech Accelerator at the Dubai International Finance Center. Founded last year, FinTech Hive is different from other accelerators around the globe because its a part of Dubai International Finance Center which makes it possible to have both FinTech and financial institutions are housed under one roof. Raja is among the founding members of accelerator. She has been with Dubai International Finance Center since 2010, holding different roles, Senior Vice President Marketing & Communications being the most recent before starting FinTech Hive. Raja holds an MBA from the United Arab Emirates University and a Bachelor degree in Business Information Technology from Higher Colleges of Technology in UAE. She received her executive education from Harvard Business School. Shahla Abdul Razak is the Deputy CEO of Dubai Silicon Oasis Authority (DSOA), a government-owned free zone that promotes the ‘modern technology-based industries’. Shahla has been with DSOA since 2006. She has been leading different initiatives there to support entrepreneurship, one of which is the successful establishment of Dubai Technology Entrepreneurship Center (DTEC), a technology hub with co-working space and incubator that host more than sixty startups and SMEs. Dubai Silicon Oasis Authority also invests in startups through its investment fund. Some of its portfolio companies are Step Group, Compareit4me, and Melltoo. Shahla has also been leading Government of Dubai technology park project since its inception. The park currently hosts more than 2,000 companies and 60,000 residents. Prior to joining DSOA, she was one of the leadership team members who established Dubai Airport Free Zone (DAFZA) in 1997. She has won different awards and honors including United Nations for Best Woman Contribution in Regional Business & Trade Development at Middle East Women’s Achievement Awards. She holds a BSc in Business Administration from UAE University, and Masters in Business Administration from Schiller University, United Kingdom. Sharifa Albarami is the Managing Director of Oman Technology Fund’s Wadi Accelerator, a Muscat-based seed-stage accelerator that invests up to $125,000 in post-MVP startups. Founded in 2016, Wadi has invested in five startups until now and is currently accepting applications for its second cycle. Sharifa is an active ambassador for technology and entrepreneurship in Oman, promoting the country as next innovation hub of the region through social media and different local and international events. Prior to joining OTF, she used to run a consultancy (that she had founded) for small businesses and startups. Sharifa is an alumnus of University of Portsmouth with a bachelors degree in Biomedical Science. She later received her leadership education from IMD Business School in Switzerland. Soniya Gokhale is the Founding Partner of VentureSouq, a Dubai-based angel group that allows individuals to invest in global tech startups. They have companies like Reddit, What3Words, ZoomCar, Fetchr, and Souqalmal in their portfolio. According to her LinkedIn profile, Sonia also works with Integral Consulting, where she consults a large sovereign wealth fund. Prior to starting VentureSouq, she worked in different roles with Mercer, the New York-based global consultancy firm. She holds a Bachelor of Science degree in Actuarial Science from the University of Toronto. Sonia Weymuller is also the Founding Partner of VentureSouq. Yes, just like their first name, Gokhale and Weymuller also share the same title, at the firm they founded together with Suneel Gokhale and Tammer Qaddumi. VentureSouq has invested in 19 tech startups in US, Europe, Asia, and MENA. Sonia has previously held different sales and strategy roles at Turner Broadcasting System, Viacom, and Microsoft in London and Dubai. She is a Charter Member of global entrepreneurship organization The Indus Entrepreneurs’ (TiE) Dubai chapter, and board member and mentor for e7 Daughters of the Emirates, a year-long program that brings together young women ages 18-25 to develop and implement team projects that benefit their communities. Sonia holds Master of Science degree in Politics and Communication from The London School of Economics and Political Science, and a B.A. in Political Science from Yale University. For feedback or any general comments about the list including the names of women we have missed, please reach out to us on social media channels.